Most Likely Scenario: long positions above 0.99628 with targets at 1.02783 & 1.03085 in extension. Alternative scenario: below 0.99628 look for further downside with 0.98681 & 0.98127 as targets. Comment: the RSI shows up. Most Likely Scenario: long positions above 0.70304 with targets at 0.71737 & 0.73171 in extension. Alternative scenario: below 0.68565 look for further downside with 0.66862 & 0.65646 as targets. Comment: the RSI shows divergent. Most Likely Scenario: long positions above 118.529 with targets at 120.953 & 123.367 in extension. Alternative scenario: below 118.502 look for further downside with 117.517 & 116.789 as targets. Comment: the MACD shows upside divergent. Most Likely Scenario: long positions above 0.70638 with targets at 0.71754 & 0.72315 in extension. Alternative scenario: below 0.69950 look for further downside with 0.69131 & 0.68090 as targets. The daily charts show the pair is way oversold 132.26 looking for a support to reach back the unmissed levels at 144.85 – 153.89 – 163.00. 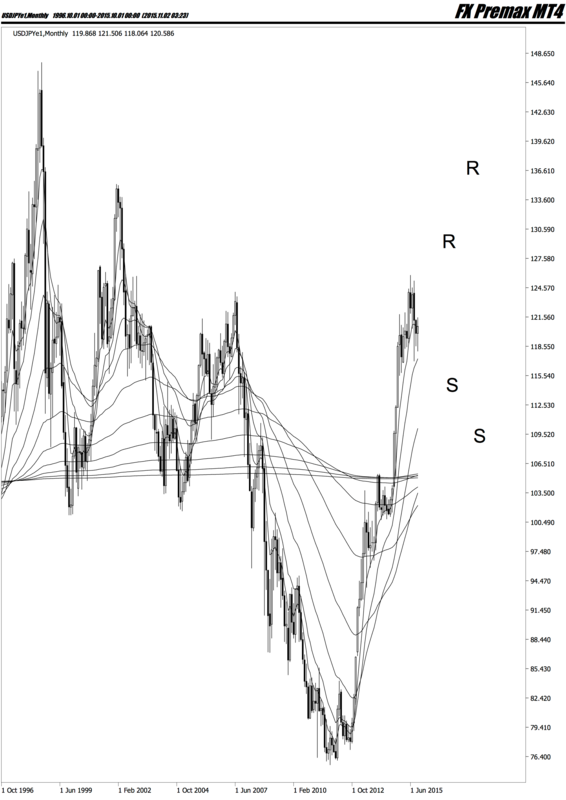 GBPJPY is showing long divergence in RSI below the 50% level. A fast retracement could be soon but no new major trend indication on the horizon yet! Could it be the technical analysis this time or Fri Sep 2 Non-Farm is a game changer!? Strong Dollar is hungry for a major retracement, with very aggressive market and high volatility caused by the currency war “anything can happen”. For the USDCAD after overbought high levels, a sharp drop down could be a new start for a new wave to ride to loosen the strength of the first wave before new direction occurs. 1.2297 – 1.20364 can lead the way to a double top or head&shoulders ride up to 1.5435 levels. Otherwise we might see the USD in this levels again with a new generation. EURGBP has shown solid channel support on 0.7970 level after breaking the 100% Fibonacci on 0.7928 level and making a first test on the 161.8% Fibonacci level. It has been attracting buyers after pull back to get strength and oversold RSI momentum. This could be a buying area unless the pair lose the channel support testing 100% and 61.8% Fibonacci level for a second and third testing points area. Following the fundamental effects of the quick drop in GBPJPY 154.44 is a support ground. Breaking 154.44 support level might cause a continues drop to the next support level 144.48 before a major retracement. On the other hand this could be a solid ground support for test back to 167.00 resistance level. Failing to break 0.6900 level – it’s a bearish rally again. Going for another low with bearish daily candles from last week next target can be 0.6500 level. 0.6500 is at a strong support. Buying from that level will require a buy confirmation signal, otherwise we might witness a deep diving situation before we see this level again. Most important day this year, 3rd testing at resistance level of 11039.32 putting the pressure on GRE30; breaking this level could lead to a new up trend that will reflect its impact, failing to go through, a turn back could show a big correction following the Fed interest rate announcement this year. USDJPY, after reaching 13 years resistance 125 level slided back to 117 support level showing a potential second test on the 125 resistance. Breaking the 125 could lead the pair to the next resistance of 132 level, unless the pair brakes current support 117, then we can witness a more slide down to the next support 105. DAX is playing a big role in the EUR movement.DAX is currently overbought: investors buy stocks and give away the currency. Oil oversell can make big influence on EURUSD if they go for a major retracement. Current market situation has been uncertain with oil struggling in low levels, affected by political and fundamental events. Although the bottom price of 35.30 hasn’t been reached yet, the remaining question is not “if there is a correction in Oil price”, but “when will the correction happen”? With a big divergence in MACD and many oscillators showing USDCAD in the maximum levels, the pair is still pushing its strength to maintain the high level. Will a slide down in the near future in the USDCAD indicate that the dollar rising era is over? And is it a signal for a new trend in many other pairs? Although AUD/USD has continued its bearish movement for 19 weeks, this situation is more likely to change because of both the technical and fundamental outlooks of this pair. On the one hand, the weak U.S. jobs report might cause the currency to depreciates against AUD, on the other hand, all indicators are in the oversold area that furthers confirms the possible upward bias. Of course, if the price opens and closes behind the 127 level of Fibonacci the likeliness of upward movement weakens. More downward movement is expected from GBP/USD since FED signals the increase of interest rate before the end of 2015. Technically speaking, since support1 is already broken it is more likely that if the next candle opens and closes beneath that level we witness further USD appreciation towards support3 in 1.4917. However, FOMC meeting on Monday can affect the market and change the scenario, especially if the FED comments on keeping the interest rate unchanged for the year 2015. As it is illustrated in the chart, our three stochastic indicators are showing that the price of USD/CHF has upward biases. It is highly likely that the price experience some drawdown to support1 and even further to support2 at 0.9097, however, the next target for the price would be Resistance2 at 1.0595 if the trend doesn’t change by breaking the strong resistance of 0.8593. At the current stage EUR/USD might experience a slight rebound to 1.1004 and then continues its upward movement to resistance2, however, if the price breaks the uptrend channel it is not out of expectation that it reaches support3 and then previous monthly low. Although the USD/CAD has been moving upward, the buyers have lost their interest to buy since 2 weeks ago. Considering the candle stick patterns, as well as, short and medium run indicators we should expect a price draw down to support1 and then2. However, if the price manages to break 127 level of Fibonacci, reaching resistance2 first is not out of expectations. AUD/USD has continued its downward movements, however, at the current stage a correction wave is expected to Resistance2. Bearish movement is strong and the scenario of further downward movement to Support1 and support2 it should not be overlooked. As you can see after a correction wave GBP/USD tries to regain its strength and continues its upward movement towards resistance1. Most probably, if the resistance1 breaks the price reach resistance2 and then 3, which is located at the upper line of the ascending channel. However, the less likely scenario occurs if the price breaks support1 and USD starts to appreciate against USD. As we already stated in our precedent analysis of weekly USD/CHF, the price heading to resistance1. Although the end of the double bottom pattern is around 1.0083, the probability of the price heading resistane2 is not out of expectation. However, it is possible that we witness a rebound to support1 first before the price continues its bullish movement. Weekly EUR/USD has been declining for almost seven weeks. However, the two last candlestick patterns have shown that the trend is ready to climb up towards the resistance1 and afterward resistance2. The only less likely scenario that might resist the price from appreciation occurs if support1 breaks and finds its way through support2. At the current stage USD/CAD has upward biases. Our stochastic indicators still try to reach the overbought area which more emphasizes in the bullish movement. If the price manage to break Resistance1 we should look forward for the price to reach 127 level of Fibonacci, which is at the same area of resistance2 as well as upper trend line. However, If the next candle open beneath the resistance1 , we might witness a rebound to the 1.2337 which is the level of support2. AUD/USD dropped to its lowest price since 2009.As it can be analyzed from the last four candlestick patterns the market has bearish biases. The long upper candle shadows illustrate that the upward movement is not strong enough to change the trend yet. So at the current stage if the price manage to break the blue channel the next target for the price would be 0.6980 which is located in the 127 level of Fibonacci. On the other hand, if the next candle closes above 0.7358 the probability of rebound to resistance1 should not be overlooked. Although, our short and medium run stochastic indicators illustrating upcoming downward movements. It is more likely that the price have an upward bias. Having seen the hammer candlestick pattern in the GBP/USD weekly chart, the intention of the pairs reaching 1.5707 and after that 1.5870 is not out of expectation. However, if the price breaks the blue channel and heads to the support1 the probability of bull scenario would weaken. As it can be seen clearly the short-term indicators have a uptrend bias. The Double Bottom pattern in the weekly time frame, as well as, Dojiin the monthly time frame both increase the probability of upward movement to resistant one. However, if the price break the blue channel and heads to support1 we should consider to have further downward movement. According to the USD/CAD short term indicators, the price has an upward bias. It is more likely that we witness the trend to continuously climb up to reach out the first resistance and then the second one at 1.3033. At the current stage, if the price couldn’t manage to break resistance1, a rebound to level 23.6 Fibonacci is expected. That is, as long as the blue channel is not broken by the price our uptrend scenario remains unchanged. The price is fluctuating between support and resistance one, so the next step for the trend is highly dependent on where the price going to be opened in the upcoming week. If the next candle opens beneath the support1 level, we should expect further downward movement to 1.080 which is support2, however, if the candle opens above the stated level it is more likely that the price reaches 1.1487 which is a strong resistance. Either way, the long term movement of EUR/USD is anticipated to be bullish considering the fact that the price is oversold area since around 08.2014. Of course, the upcoming news about Greece debt crisis shouldn’t be overlooked. As we already mentioned in our previous AUD/USD analysis, the price hit support1, however, it is pushed up approximately 234 pips. At this stage, it is important to see if the trend can pass through resistance1 because if it does, it is more likely that the next target for the pare would be resistance2. On the other hand, if the price breaks support1 at 0.7647 we can expect further bear trend to 0.7409. After three weeks of down trend, GBP/USD has moved upward around 337 pips. Currently, all the eyes should be focused on 1.5580 which is a strong level of resistance. As it can be seen clearly Fibonacci ratio of 38.2 is located in the same level as resistance1 that further emphasizes the importance of the stated level. As a result, we can expect the price reaches 1.5791 if GBP gains more strength against USD. However, since our short term indicators have their heads down, we might still witness a rebound to the support1 first. Although our long term stochastic indicator illustrates overbought area, candlestick patterns tell us a different story. As it is demonstrated in the chart with blue shadow USD/CHF formed a Doji candle previous week which might be a sign of increase in price to the first resistance at 0.9999. However, it is suggested to not take any action yet, because if the price manage to break our aqua blue channel it is likely that we witness a rebound to previous low or even the first support of 0.8691. Although our short run indicator illustrates that the price is in the overbought area and downward movement is more likely in this situation, long run stochastic indicator has been oversold for a long time. Hence, we might witness a rebound to support2 or even further to previous low first, but the long run bias would be bullish at the current stage, especially if the price manages to break resistance1 in 1.1254. After five weeks of constant upward movement, this week AUD/USD has experienced a drawdown to 0.7824 caused by positive U.S. inflation data on Friday. In spite of current USD appreciation, we can still expect a further rise in price to 0.8210. However, at the current stage, that would be wiser to wait and see if the price continues its rebound to support1 in the upcoming week. Cable has been holding on to its upward movement for the fifth week. According to our stochastic indicators and GBP strength, the price is most likely going to break strong resistance of 1.5785 and if it does, reaching 1.5948 would be the next step for it. However, at the current stage it is not out of expectation that the price rebound to 1.5604 and 1.5423 first, since the pair is in overbought area in daily time frame. 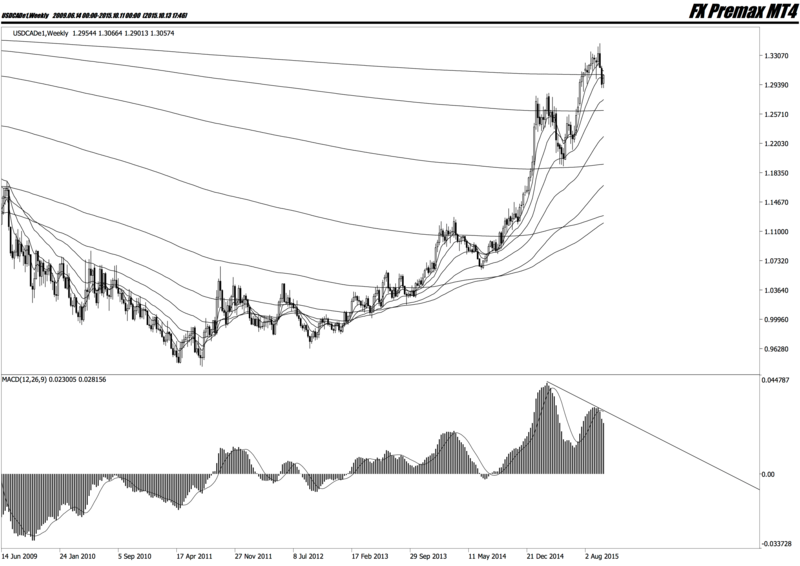 Although our stochastic indicators illustrating that the price still has a downward bias, the next move of USD/CHF might be trickier than it appears. In order to prevent any losses from a hasty entry to the market we need to focus on the next weekly candle. To be more specific, if the next candle opens and closes behind weekly aqua channel, the expectation of the trend reaching the first support of 0.86913 wouldn’t be farfetched, however, if it opens and closes above this level, the downward movement is not most likely scenario and we might witness the price to reach the first resistance of 0.9999. It is the third week that EUR/USD continues its upward movement. Currently, the price tries to break the strong resistance of 1.1254 and if it succeeds, the next target for EUR/USD would be 1.1517. Although it is expected that the price reaches the next resistance, we might witness a slight draw down to support1 for a while. For now keeping our eye on the Resistance1 and waiting for a break is the best strategy. AUD/USD chart hasn’t changed much from previous weeks since the price swings in a narrow range. Although Aussie dollar has tried to break the strong support of 0.7552 several times this month, its attempt was not successful so far. Furthermore, stochastic indicators position also increases the probability of bull scenario. At the current point, if the trend manages to break resistance1 we can expect correction wave to form and reach the upper line of monthly channel. On the other hand, if, by any chance, USD appreciates against AUD we should be ready to close our long position; if support1 breaks we might witness further bear to 0.7065. As you can see clearly GBP/USD haven’t managed to break the strong support of 1.4777 and the previous candle is closed above the stated range. As a result, it is highly expected for the price to head to the first resistance of 1.5200.Our stochastic indicators also further emphasize on our bull scenario since they are currently illustrating oversold area. However, if the next week candle manages to get closed beneath the support1, downward movement towards support2 doesn’t seem unlikely. As you can see clearly, the trend is retracing for three weeks now. At the current stage, if the price manages to break 1.1079 we might be witnessing EUR/USD reaching the next resistance of 1.1254 and then 1.1637. However if the trend could not pass through Resistance1 and in spite of being in oversold area start oversits downward movement again we are expecting that the price touch its previous low one more time. The next candle playing a great role in predicting AUD/USD next move. In the sense that if the next candle opens above 1.7814 which is outside of the narrow channel, it is more likely that we witness upwards movement to the first resistance of 0.8000. However, if the candle opens below 1.7750 the probability of further bearish movement to support1 is higher. It is worth mentioning that our stochastic indicators are in oversold area which further emphasize on upcoming upward movement. At the current stage,GBP/USD trying to break a strong support of 1.4800 that hasn’t been broken since Jun 2010. Considering, our Short and Medium run stochastic indicators, we might witness further depreciation of GBP against USD to the second support. Although the probability of a correction wave is less likely, a rebound to 1.5200 is not beyond our expectation. Although our Indicators illustrating overbought area, we can still expect further uptrend to the first resistance. Additionally, the light blue Monthly channel furthers increase the probability of more bull to the tow next resistance. However, we should pay attention to the fundamentals and see if CHF getting stronger, only then we might witness the trend retrace and reaches support1 at 0.8691. EUR/USD continues its downward movement in a narrow range. At this stage, the first target for the price would be support1 at 1.0712. Also, if bearish trend is strong enough to break the mentioned support we might even witness that the price reaches support2. Afterwards, it is more likely that Euro appreciates against USD and shape a correction wave that heads to the first resistance at 1.1214 and since our long term stochastic indicator located in the oversold area we can expect further upward movement to the second and third resistance. It is worth mentioning we should not overlook the possibility of early retracement to the first resistance. Considering the nature of financial market and currency market in specific, FXPremax will not accept liability for any loss that might arise from the content of technical analysis written in this website and it doesn’t guarantee its accuracy. FXPremax designed Margin Calculator, which allows traders to evaluate their potential to open/close trades for different currency pairs, considering variables of the current price, lot size and leverage. In the Margin Value window will appear the level of margin needed for opening the trade for the chosen conditions.